Several years ago, a few friends and I decided to start a business. The business? Give event-goers, nightlife crowds and tourists free rides to Denver’s most popular bars and restaurants. And have the bars and restaurants, interested in getting an influx of new customers, pay us. After sinking countless hours and thousands of dollars into buying 6-passenger carts, getting legal representation, launching an app and building an entire socially integrated website, less than two years later, we folded. We had been dealt a bad deck and it was time to move on. Reading this now, you probably think, “Of course that wouldn’t work.” We didn’t know that ride request apps like Uber and Lyft were about to take the market by storm, nor that we chose a business in one of the most regulated industries — transportation. But what we learned from this experience was priceless. Luckily, we can take our failures and insight from FirstBank’s business lending professionals–who deal with start-ups to billion dollar enterprises–to find out what you should pay attention to. Here are five commonalities they’ve seen in successful businesses. Trying to pick up the ins-and-outs of a new industry or pursue an idea that’s outside your comfort zone, might not be the best option. If your business idea is engrained in a market or involves a skillset you’re not familiar with, this can be a long, treacherous road. Experts suggest pursuing an idea that plays to your particular skills and strengths. If that’s not an option, start consulting with industry professionals, taking courses or involving folks who have the talents or knowledge you need. Do you get that “Wow!” reaction? This is beyond getting positive reactions from friends and family members who are already supportive of you. Before you invest in your concept, test it out. Consult with marketing professionals or even potential customers to see if it’s needed/wanted or to help identify opportunities to improve your idea. Consider running a few “smoke tests” by placing a basic ad on Craigslist for your product/service to gauge interest or set up a poll on Twitter. If you receive a lot of interest or positive feedback, you’ll know the idea is worth pursuing. If not, then you can at least go back to the drawing board. Your Product/Service Differs from Competition. Understanding your competitions strengths and weaknesses, including their price point, online reputation and marketing campaigns, is imperative. Why? This can give insight into your own company’s differentiators and more importantly, understand any unserved needs and help determine how to fulfill them. You Have a Business Plan and a Solid Business Model. 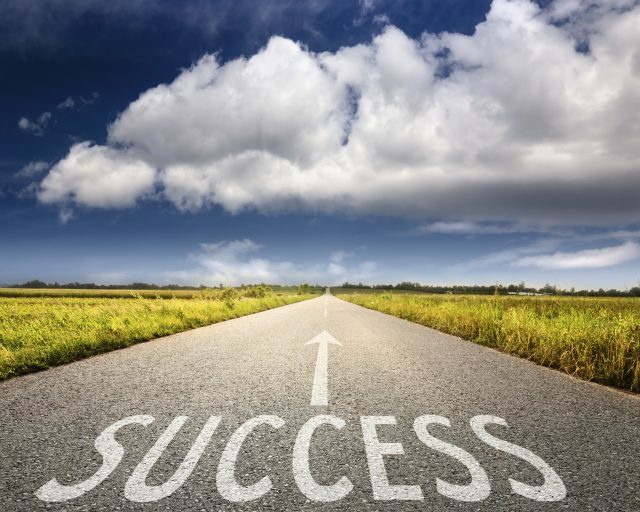 Succeeding in business requires more than just an entrepreneurial spirit and strong work ethic. Having a solid plan for how the business will operate, including how you’ll market your product and your revenue model, provides an instrumental guide for you and is also needed to obtain financing. There are several trade associations that offer seminars and connect you to mentors to help you gather necessary information. The Small Business Development Center usually has in-depth courses on start-up entrepreneurship and business plan development. You Can Afford to Fail. If you can’t afford to fail, you may want to rethink where you’re investing your money and determine what areas need funding and what don’t. For instance, Entrepreneur magazine provides several great tips on essential start-up expenses and expenses you should avoid. Winston Churchill once said, “Success is going from failure to failure without loss of enthusiasm.” For many entrepreneurs, this couldn’t be truer. The sad reality is nearly half of new businesses don’t survive passed the two year mark. The distinguishing factor between a good and a great entrepreneur is having the heart to persevere in the face of monumental challenges and understanding what areas need attention. You’ll be thankful you spent only what you needed vs. what you wanted.